DRY STORAGE IS AVAILABLE on a monthly or yearly basis. For new contracts a 4 month minimum is required up front. 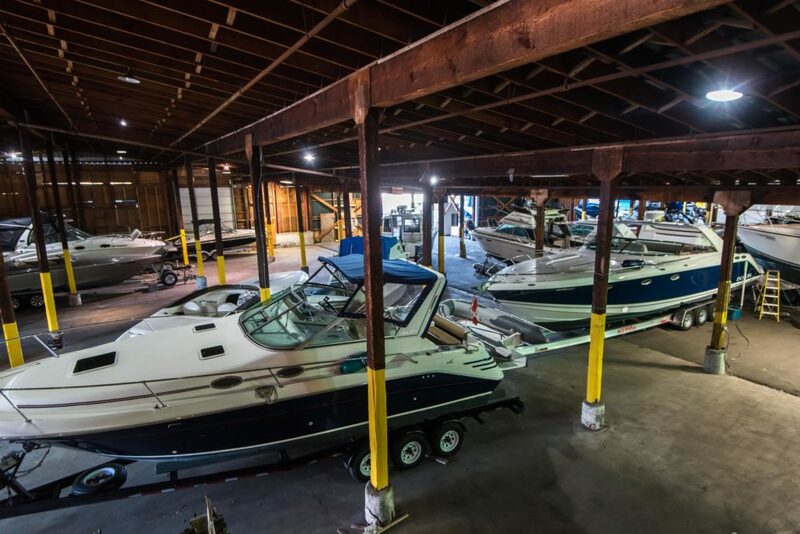 Our facility can accommodate boats with or without trailers in both our indoor and outdoor storage areas. Some height restrictions do apply for indoor storage, please inquire. Clients who sign up for an annual contract will receive one month free rent! Monthly storage for boats on trailers includes unlimited use of our launch ramp. Our launch ramp is double sided and was designed for trailer launching. There are no tidal restrictions, and multiple washdown stations. 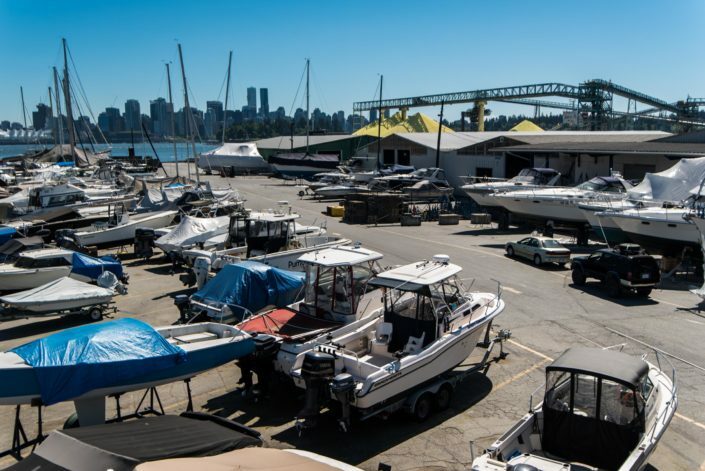 Lions Gate Marina also offers valet launching services for $40 round trip which includes a trailer rinse after launch. Monthly storage for blocked vessels includes one free re-blocking and annual storage includes one free haul-out and launch each year. 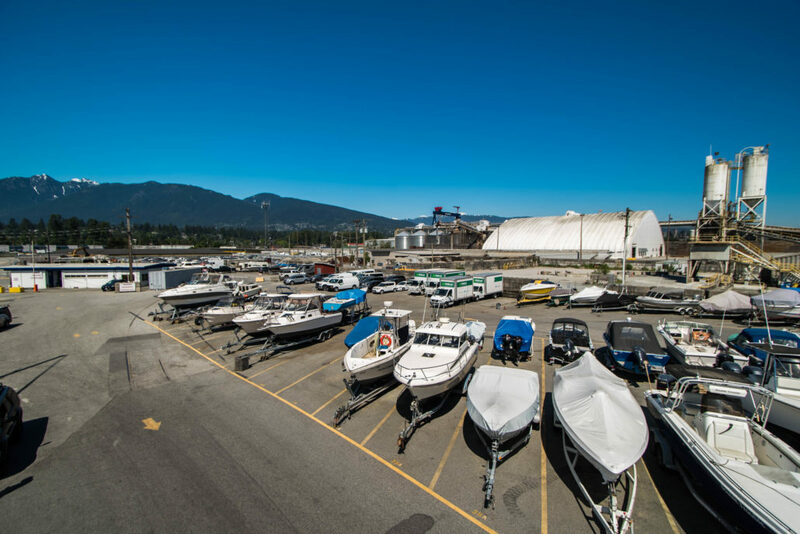 MANAGEMENT REQUIRES THAT ALL boats and trailers be in good and working condition while stored at Lions Gate Marina. A minimum liability policy of $1,000,000 must be kept on the vessel at all times, as well as valid ICBC insurance on any trailers.